Angus Fletcher studies literature’s usefulness, treating it as a practical tool for alleviating poverty, hunger, heartbreak and other physical concerns by employing a range of empirical methods, from ancient rhetoric to modern science. He emphasizes neural diversity, cultural difference, evolutionary variety, narrative flexibility, the infiniteness of stories, behavioral adaptability, practical problem-solving, personal growth, democratic pluralism and the biological benefits of curiosity, inclusion and tolerance. Fletcher has published recently on Aristophanes and Austen, Darwin and Douglass, Machiavelli and Milton, Sappho and Shakespeare. His research has been funded by the National Science Foundation, the National Endowment for the Humanities, the Mellon Foundation and the Academy of Motion Picture Arts and Sciences. 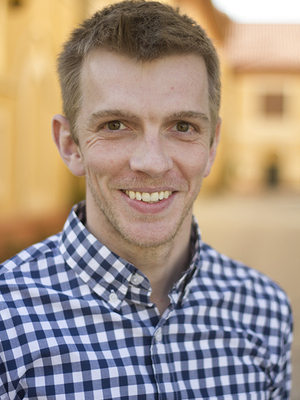 Fletcher has taught for University of Southern California, Stanford and Teach for America. Comic Democracies from Ancient Athens to the American Republic. Baltimore: Johns Hopkins University Press, 2016. “Facing Darwin.” Poetics Today (2016). “The Science of Free-Indirect Discourse: An Alternate Cognitive Effect.” Co-authored with John Monterosso. Narrative (2016). “Another Literary Darwinism.” Critical Inquiry (2014). “Francis Bacon’s Literary-Scientific Utopia.” Palgrave (2017).